Following the 2008 housing collapse, thousands of homeowners found themselves with mortgages they could no longer afford. Many tried to stave off the inevitable foreclosure through loan modifications. Then they found out their desperation had led to them to fall hook, line, and sinker into a scam. The housing market has since improved since those dreadful years following the collapse. However, there are homeowners who are still finding it difficult to pay their mortgages. 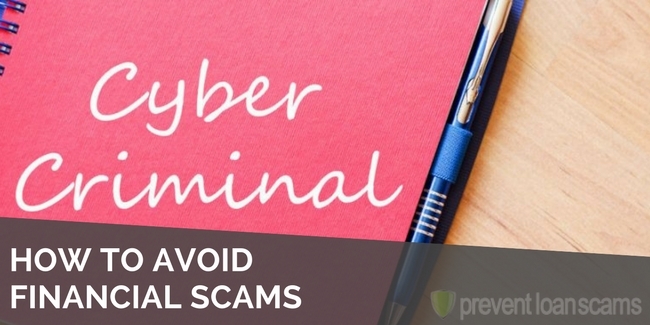 Therefore, scammers still have a breeding ground to use their unsavory practices. They take advantage of some of the most vulnerable people trying to keep their homes. 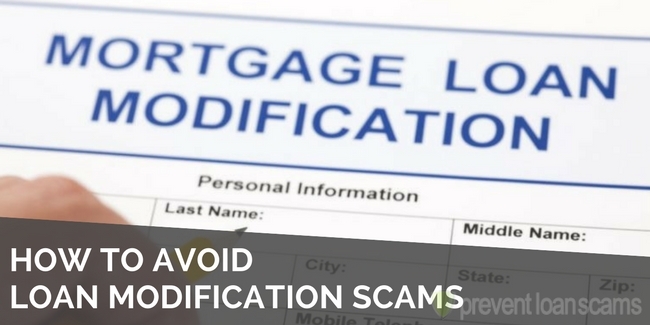 Here we’ll examine the loan modification scams that seem to be the most tempting, snagging homeowners time and time again. 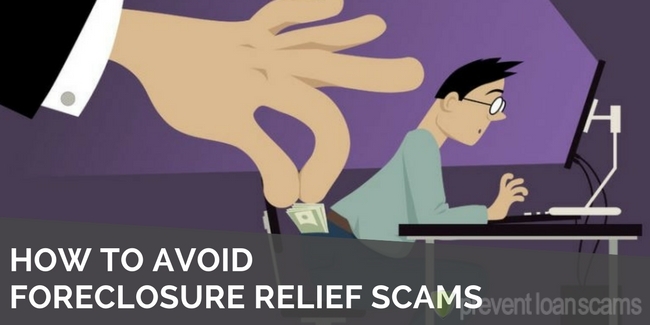 We’ll also give tips that homeowners should use as their guide to avoid these scams in the first place. Has a loan modification scam or other bad credit situation negatively affected your credit report? 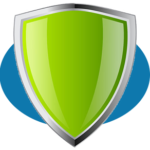 PreventLoanScams.org’s research of the 5 best credit repair companies can help. Before we go into the loan modification scams that plague homeowners, or the tips to avoid them, let’s first go over what exactly loan modification is. Homeowners who fall behind on their mortgages have several options to avoid losing their homes. One of those options is loan modification. A loan modification plan permanently restructures a mortgage by changing its terms. Those terms include a reduction of the interest rate and/or monthly payment. Loan modifications can also entail conversion of the interest rate to one that is more financially feasible for the homeowner. For example, the modification might convert the rate from fixed to variable. Some modification plans may also extend the length of the term of the loan. Homeowners should be clear on whether or not they qualify for loan modifications. Seeking the help of a counselor is the first step. Eligibility requirements include showing proving financial hardship. Homeowners may have to provide their lender with documentation of that hardship. For example, if the hardship is the result of a job loss, the homeowner may have to furnish the severance letter. They may also require proof of income, recent tax returns and bank statements. They want a fee? Run. 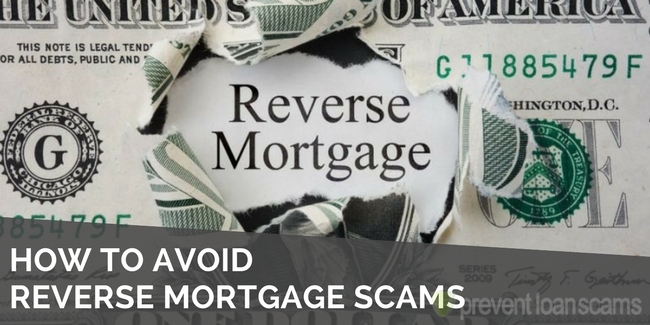 Now that you understand what loan modifications are, let’s look at some of the most common scams run by these low-lifes. 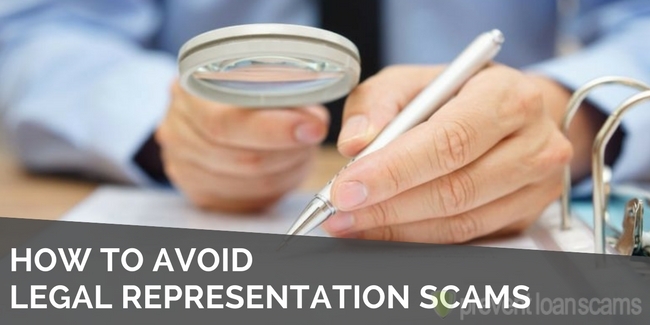 Perhaps the most prevalent scam entails a so-called agency. It promises to help the homeowner obtain a loan modification for an upfront fee. This, in itself, is ridiculous, because homeowners can receive such counseling for free by simply contacting the U.S. Department of Housing and Urban Development. So, homeowners who encounter people who say they can help them, as long as they pay, should run for the hills. These people are notorious for taking your money and then running off. Red flags about these scammers include them insisting the homeowner not contact anyone about the agreement they are trying to reach with the homeowner. Also, these scammers can be so egregious as to ask the homeowner to pay whatever mortgage payment they can muster up directly to them instead of to the lender. Ding, ding, ding, ding, ding. Homeowners in debt to their lender should pay the lender, not some stranger. Then there are so-called forensic loan auditors mortgage loan auditors, or foreclosure prevention auditors. They say they are supported by forensic attorneys. That’s so professional-sounding, it’s no wonder they are often able to dupe even the most astute homeowner. Regardless, they are as crooked as they come. They may offer to review a homeowner’s mortgage loan documents. They claim this determines whether their lender complied with state and federal mortgage lending laws. The Federal Trade Commission explains that these “auditors” may tell the homeowner that they can use the audit report to avoid foreclosure, accelerate the loan modification process, reduce loan principal, or even cancel the loan. The best way to spot and avoid these fraudsters is to understand their false narrative. First, homeowners should know that there is no evidence that forensic loan audits will help them get a loan modification. This is even if they’re conducted by a licensed, legitimate, and trained auditor, mortgage professional or lawyer, according to the FTC. These so-called forensic auditors are known to tell homeowners that they can sue their lender based on errors in their loan documents. Then they’ll tell the homeowner that if they win, the lender must modify the loan to make the payments more affordable. That is not true, warns the FTC. There is no such requirement. Well, that sounds official, right? This is where Google could be a homeowner’s best friend. Scammers are becoming very savvy in seeking out their victims and using official-sounding names like the one used in the quote above. Some are even becoming bold enough to use federal emblems or logos on fake websites they build to reel in unsuspecting homeowners. Homeowners can quickly learn the legitimacy of a company by doing a quick internet search, and/or by contacting their lenders. 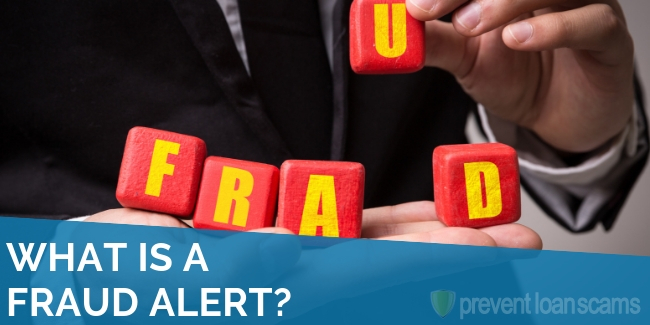 The Office of the Comptroller of Currency (OCC) points out that these scam artists may use such terms as “federal,” “TARP,” or other words or acronyms related to official U.S. government programs. Homeowners can avoid the fraudsters who claim to be offering plans that are “government-approved” or “official government” by contacting their lenders. Again, lenders are readied to inform homeowners on whether, or not, they qualify for any government initiatives to prevent foreclosure. Losing a home due to foreclosure can be one of the most devastating events to impact a homeowner. In desperation, homeowners may seek out or go for whatever offer they can to save their homes. 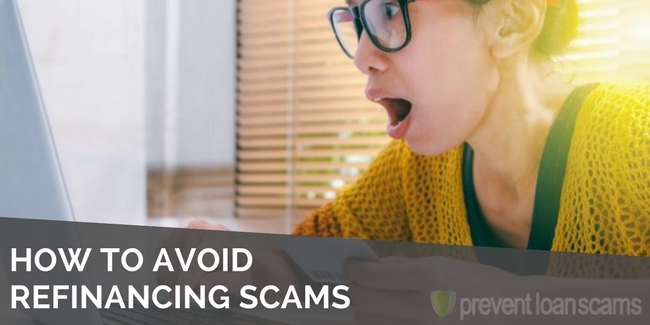 Unfortunately, scammers are waiting in the wings to swoop in with some offer that homeowners may be more than tempted to accept. The loan modification offer is one of the offers that scammers notoriously use to prey on unsuspecting homeowners. Falling for one of these scam artists can make their financial situations even worse, potentially leading to the need for credit repair by a company like Lexington Law. Have anyone been involved with Mortgage Solution Network (dot) org? Are they legitimate? Anybody know anything about Home Retention specialists? Has anyone heard of AMERICAN property solutions, They say they work on your behalf to get a modification but ask not to have contact with the mortgage company and to send them the reduced payments monthly, not to the mortgage lender, and the address seems to be a P.O. BOX in California. I can’t find anything out about them but they have a great website. I would tell anybody in the above comments not to go through any of these loan modification companies, and just go directly through your mortgage company or lender. 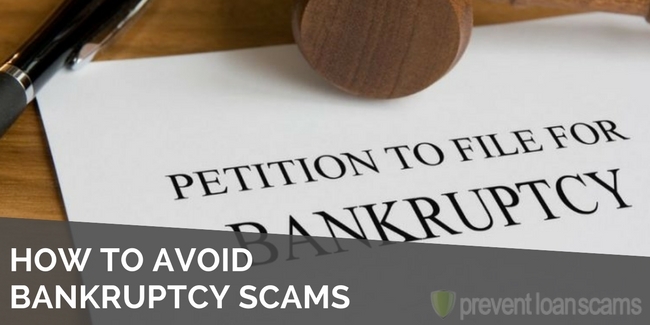 If it falls through your best option really is to file for bankruptcy or give up the home. There are no two ways about it, these companies are scammers. All they do is ask you for money upfront. They don’t do any of the work. Like Synergy law and the rest, you should not fall for the scam. No one should ask you for money upfront and everything should be negotiated within the loan modification. Please take my advice. I went through this with Synergy Law. They are nothing but crooks, in fact they are in bankruptcy. They took my keys while they were in bankruptcy and they’ve lied and lied about hours they put in to work, but they did absolutely nothing. I was only one month behind on my mortgage when I asked them for assistance for a loan modification. All those months I was paying them instead of the mortgage company I got so behind the mortgage company was threatening foreclosure. They did not receive any correspondence from Synergy law regarding a loan modification. Anyone hear of synergy law firm and did they actually help with foreclosure? Hi, does anyone have any experience with National Mortgage Mediators in Florida? Did you follow through with this company, and if so, what were the results? Trying to find anything on National Home Counseling Center? I’m trying to get a home mortgage modification and they want money for legal fees upfront. Does anyone know of a loan modification company called: Porter group, llc in south florida, or Rock Consulting? Anyone hear of Nationwide Home Advocates? They seem legit but want me to make a first installment to them (NHA) for 997.00 and not to my home lender. Sounds fishy. Any input would be appreciated. RUN, they are not legitimate and will take your money for nothing! I work in default with a mortgage company and one of the loans I work with had the same scam played on them. They took him for three payments of $1797, which was all for nothing. I am currently working with nationwide retention center. Does anyone know anything about them? Sure hoping they’re legit. We are looking into Nationwide Retention Center as well. Have you found them to be a legitimate company? So far, our research does not show much about the company on the web, and we could not find them on the BBB website… Any feedback would be greatly appreciated. I too would like to know about them as I found them and they seem legit. They don’t want any money up front but they said if I was approved it would cost me 4 payments of $1000. So if anyone could help that would be great. I have been trying to get a loan modification through my lender but any information I give them is never good enough. This company says they specialize in fha loans. Has anyone ever dealt with Olympia Law Group? Scammers. Run. We lost our home. Has anyone been contacted by Consumer Affordability Solutions? We talked with a Jonathan and some red flags went up. Not sure I want to pursue. Has anyone delt with or heard of National Home Counseling Center? They are saying they will stop a sale date on my home and want money upfront. Please check your area for non-profit housing counseling agencies and Housing Finance Agencies for free assistance. Just because you did not retain our services due to financial issues does not mean we are a “scam”. If the proper research was done you would have seen our BBB website with all the positive reviews and homes we have saved. Please do not put a bad name on a company and also an agent that has helped hundreds of homeowners who have thanked us countless times. If you went through the whole process you would have seen first hand how much we care about every single homeowner. Defamation of character is a crime, especially when you have absolutely no proof of this other than an assumption. You’re also not allowing other homeowners who need assistance to move forward based upon your false accusations. I don’t think that person was trying to defame your character as much as they were trying to get information to protect themselves from consumer fraud, just as they should be doing. You should be praising them for due diligence and the initiative to investigate you so they don’t get burned. There is nothing wrong with that. Frankly I think your response is awfully defensive. Good looking out to the consumer I say! I was contacted by Tristate Financial Services for America, located in Southhamton NJ. Anyone heard of them? Trying to find out if they are legit. Has anyone dealt with Acceptance Legal Group? They have contacted me regarding a mortgage modification. Hi I was curious if you ended up using acceptance legal group? My dad is nearly 80 and insists that they are helping (he has already paid $6000!). His home is now in foreclosure. I think they are a scam but can’t yet prove it. Any info you might have found out or heard would be appreciated. If unsure I suggest you contact BBB, Secretary of State, check IRS and state to see if they are a registered business, and I would also suggest doing a google search and check various references. You have a right to ask any business for physical proof of actual success as well as references with phone numbers and contact information, and do use them. My fiance was contacted by Acceptance Legal Group, and even if they have a lot of good reviews on google, there were still red flags. So I tried to look up their business and have not found any ein + employer identification number with the irs, which is required when your a business and you pay taxes. I do animal rescue and also took some legal classes and learned to research everything before making a decision, and glad I do. I asked the agent my fiance was talking with for the ein and he stated he first of all knew nothing of it and did not even know what it was, then he said they are not a debt collector so they did not need one. I went on to explain what it was and it is required, and he got very defensive and offensive…. Doing more research yet and not liking what I am finding. I would contact an attorney right away and explain everything and let them know as well that Acceptance Legal Group address is a virtual address, and when pulling the name up the name Sabar legal group and falcon legal group names come up with same address and similar complaints of being charged a lot of funds and telling them to not pay mortgage and then house goes into foreclosure while they supposedly did not even contact the mortgage company. I say they are a scam, especially not knowing a business thing like the ein number and that it is required to be registered company to make as much as they do, and there is no acceptance legal group on bbb nor does it match any records for secretary of state for California. I am doing more research but this is what I have come up with so far. I am also going to contact someone from the irs and state of california about this as well. If they have received as much in funds that I am reading and a lot of homes are lost with similar stories there is something not right. We will be working with our lender to try to handle our mortgage instead of going through a group like this. Most lenders are willing to work with you if you show you’re trying, and as long as you stay in contact with them and be honest. And yes, some won’t work with you… there are organizations out there that will help you for a lot less if anything at all to help you keep your home. I have done extensive research on this company and I was able to find their information, their EIN # etc. I am a client of this company and I was very skeptical because the process took very long. The lender was lying to me about who was actually working on the file. When we called on three way, I had caught the lender in a series of lies and have now filed a complaint with the Attorney general regarding the lender. Most lenders ARE willing to work with you because they know that you are NOT smart enough to submit a correct package to the lender. Has any one dealt with specialized housing. Are they legit? Very interested in learning more about Acceptance Legal group. I am an attorney representing someone who was “being helped” by ALG and now his home is in foreclosure. Any information you have would be appreciated as the company appears to have shut down at the end of last year. Never pay for something that your lender can do for you for free, save the money for your loan! We currently have our mortgage loan with Ocwen. We purchased our home in 2003 and recieved a loan through Countywide Home Loans for $363,000, our loan was then transferred to Litton Loan Servicing and now Ocwen. The problem I am having is that we currently owe $430,000 which part of the balance is $132,000 in fees that we have been charged. The question I have is if we signed a loan modification which the $132,000 is listed as Deferred Principal is there any way for us to undo the contract? I have been back and forth with the lender for the past 9 years regarding the outrageous fees that were are being charged. There is a lot more to our situation but I am limited on the space. Is there any hope for us or do we just pay. We are currently not behind on our mortgage. Ocwen is the worst! Look them up. They are just a service company for your loan company. They have been suied for wrongful foreclosures. I am currently facing this problem. Had to hire an attorney. I would hire an attorney. No other lender I have encountered (I’m a real estate agent) has these kind of fees. Mr. Cooper/Nationstar has those fees too. Their attorneys send 25 pieces of the same mail in 1 day. All state the same thing. Out of those 25, 5 are sent by regular mail and the rest are certified. They charge $5.00 for every certified piece. Also, they have their inspector inspect my property every week at $50 a visit. They are charging me all of these fees. Has anyone heard of SEG Statewide Enrollment Group? Has anyone heard of Canyon Capital Corp? Yes. I have heard of Canyon Capitol Corp. I received an e-mail from them regarding a home loan modification. Are they legitimate or scammers? My sister recently tried to consolidate her loans with Gateway Certified Loan Pro and has already paid more than $40. Can anyone tell me if this is a scam? Anyone reading this pay CLOSE ATTENTION! No borrower that has a delinquent mortgage is required to utilize a third party to facilitate a loan modification from their mortgage lender UNLESS the borrower is filing BANKRUPTCY (chapter 7 or 13) in which it would be the borrower’s own attorney being selected as a third party contact. Please know how the scam works to the advantage of these fraudsters before ever reaching out to a 3rd party company claiming to provide assistance with a loan mod- the scammers are get smarter and are using new tactics to get victims to fall for the scam- even SUSPECTING BORROWERS- they are using names of companies that are legitimate or were legit at one time. They are now using data mining companies to set up their phony websites, e-mail address, phone numbers, etc. These “data mining” companies are also responsible for doing all of the “fishing” for potential victims by combing public records looking for notices of default filings- then they set the trap by sending the victim a “modification” package containing all kinds of disclosures and agreements to sign and return. Within these packages there will always be what looks like a normal “Borrower’s Authorization” similar to ones you would see when applying for an actual mortgage, HOWEVER, this authorization is actually a CEASE AND DESIST ORDER demanding the victims lender to cease all contact with the borrower- this is the ONLY DOCUMENT the scammers will submit on your behalf! Needless to say your lender will not even ATTEMPT to contact you with options of obtaining a mortgage loan modification and by the time the victim or the lender realizes the company is not legit it’s often too late- the victim’s home is heading for Sheriff’s sale and the scammers are long gone making it merely impossible for law enforcement to track them down. If you are having difficulty paying your mortgage always reach out to your lender first! In wake of the housing and mortgage crisis most lenders have established housing counseling and loss mitigation teams who specialize in home retention. If you receive mail correspondence or even e-mail correspondence from a company that appears to be legit but is requesting payment for their services in relation to obtaining a loan modification from your lender I would suggest contacting HUD, your state’s attorney general’s office, and the Federal Trade Commission to report it. Contacted California State Attorney General’s Office regarding Smith Newport Law, pc.. and Ditech. I filed a formal complaint. I was told to file in small claims court. So much for stopping these thieves. People kill themselves over this type of crime. Bottom line: NO ONE CARES. I contacted Retention Advocacy Group because I received a solicitation in the mail. I called to see if they could help me with a loan modification which I had applied for through my mortgage company, DiTech Mortgage. DiTech was dragging their feet and I needed someone to help me move it along. I spoke with a Ryan Evans (curiously, when the call came through my cell phone, it showed up as “Russia”). Further along in the process, after several conference calls, I was approved by their legal department and “Anthony Green” of their underwriting department. I was sent a contract and was requested to pay in excess of $900 a month for 3 months to show my good faith. I had the good sense to start to put together all the “red flags” and didn’t pay them anything. So glad I saw this today! I contacted these people because of a letter in the mail, and have been speaking with Ryan Evans as well. I assumed they were with my mortgage company from the mailing, and I sent them my mortgage statement and check stubs, and just got a call back saying I “qualify”. I happened to speak with someone from my mortgage company and they said they didn’t have any paperwork from me, which threw up the red flags and led me here. Thank goodness I saw this before continuing on!! Contacted my State Attorney General’s Office regarding Retention Advocacy Legal Group. I filed a formal complaint. I was told to file in small claims court. I paid them $3,500.00 to help me. So much for stopping these thieves. I lost my home since Emily told me it was normal to pay my modification within 90 days. That was a lie. Bottom line: NO ONE CARES. Has anyone ever heard of the Capital Home Advocacy program?? I found them online and contacted them. Has anyone worked with them? My brother and I had to deal with TriWest USA who my current mortgage rep told me to pay which was Rushmore. After they took me for $3,126.00 Rushmore quickly return the loan back to SLS to handle the issue. TriWest USA contact myself and my brother every day until the got the money, even had a so called Lawyer by the name of David or Dave Sharpio who actually spoke with SLS Rep. Now they have me behind and I just had a heart attack and I will not stop until they are brought to justice for scamming people. So was the scam by SLS or Tri West? Just wondering because my mortgage is with SLS and they were allegedly working on a hardship for me and I recently got a notice of Sheriff Sale for my property. SLS lied to me and when I just called they informed me there was nothing else they could do for me. Has anyone heard anything about home law solutions? I was scammed by my own Mortgage lender, Ditech Mortgage, Newport Law, from Irvine, CA. My husband passed away and I could no longer keep up with the payments. They set notices of default. Then Newport Law, aka Ditech Mortgage sent a notice to contact them to re-modify my mortgage payment for a fee of $5,000. They took “down payment” of $1,500 which I had to borrow. I was desperate. Ms. Liz Gomez would call me and keep me updated that she was working closely with Ditech Mortgage to lower my payments. This happened over the course of six weeks. She would call, but the very next day I would receive notices of auction dates. I researched and found out that Smith Newport Law was Ditech. They had no intention of helping me stay in my home. My home was posted on foreclosure websites with address, directions to my house and date of auction. I had complete strangers looking in my windows, walking up my driveway checking out my backyard. Not a safe feeling for a recent widow. I finally confronted them and notified the California Attorney General’s Office. Of course, I was told I would have to take them to small claims court to get the $1,500. Needless to say, I moved. Sad, I had lived there with my husband for close to twenty years. Never trust Ditech Mortgage. They are scammers. Never give money to anyone who says they will assist you with a HARP or HAMP remodification. It almost killed me. But, I got out and moved on with my life. Please let me know if you heard of Legal Network Group affiliate of Friedman law and RMR Global Solutions. A client gave money to Friedman Law Associates in Hauppauge NY for a mortgage modification. She never got the modification and cannot get her money back. The money was required before any work was done which is not legal. I was contacted by “Anthony Greene” of the Retention Advocacy Group (www.RetentionAG.org), offering to assist me obtain a mortgage modification @ Sep 12, 2016. He seemed quite professional and spoke proper English! Everything seemed above board until the final step when he sent me a contract to sign. It seemed a bit odd in that he said I shouldn’t contact my mortgage company, and they wanted @ $5,000 payment upfront! Surprisingly, I actually had sense enough to NOT continue! We are sorry that you felt uncomfortable proceeding with the modification process. Our fee is not for a loan modification but a legal retainer that is billed accordingly for the services of Foreclosure Defense, in which a loan modification is a possible alternative. We do not ask for the retainer amount up front or in full but paid in installments after each phase is completed. Regarding contacting your mortgage company during the process of being represented, this only hinders or adds risk to your case.. We are aware of exactly what the lenders require in order to give you an ethical modification; however, if you provide any extra information to a debt collector hired by your lender you affect your chances of receiving assistance since they are required to use any and all information in collecting their debt. This disclaimer is provided to all clients who contact us when they are in delinquency with the mortgage. We can not legally tell you to not contact your lender, however we advise in our agreement that any communication with them during your representation can have grounds for breach. Please contact us if you have any questions regarding our process. They are all saying here we should never pay anyone other than mortgage company and if they ask for money upfront it’s a scam? You are just another scammer, hoping to continue on your path of scamming people. I spoke with an ***** because Synergy Law claimed he was their attorney in Texas, and I asked him if he was affiliated with Synergy Law and he said he had done a couple of cases. This is just one big ring of crooks. What a scam. But don’t ever misjudge karma, because the FBI, the DOJ, the BBB, and Attorney General’s office for Virginia, Missouri, DC, and Texas are all informed and I am so glad that criminal charges are being initiated and at least myself and three others were able to get our money back and are in the process of suing for damages. There is a universe that will bring you back where you wronged. Is there any way to get back the money that I paid the lawyer who promised to stop the foreclosure and get me a loan modification? If the scammer is an attorney, contact the Bar Association for the state in which the attorney is licensed. You can file a complaint with the Bar Association about the attorney. To find out where the attorney is licensed, try the state where the attorney is located. First file a complaint about the attorney. The Bar Association will ask for copies of docs. The best ones to send are any written agreement you might have signed, a statement of what you were promised, When and how you paid, copies of cancelled checks or relevant pages from bank statements to show your loss, any other information that you think should be reported. Second, if the attorney is investigated and is disciplined, then submit a claim to the Bar Association’s “client protection fund”. It may be possible to recover money you lost. This process takes a long time. Expect 1 to 2 years. It’s worth doing. Your complaint helps other people avoid the scammer. It can add weight to other similar complaints.